Linux Lite 4.4 DVD (64-Bit) | Linux DVD Shop - UK Linux Shop supplying Linux on CD, DVD and USB with Free UK Delivery, 24Hr Dispatch. Linux Lite 4.4 is a XFCE based desktop Linux OS, based on Ubuntu. This 64-bit version suitable for modern systems fully supports media playback and comes with its own tools such as software updater, app installer and cleaner along with many standard software such as LibreOffice, VLC, Thunderbird and Firebox web browser. Linux Lite is great for newbies and runs fast on low hardware spec machines. 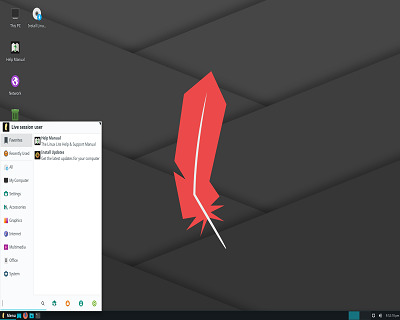 This lightweight distro uses low memory consumption and the desktop is intuitive and simple with a clean minimalist look. Lite is a great welcoming distribution for Windows users that works fast and looks great.